An autorun.inf file is a text file that can be used by the AutoRun and AutoPlay components of Microsoft Windows operating systems. This file can be stored in all external storage medium like CD, DVD and pendrive or other USB. When the autorun.inf virus files is infected in any storage medium. If you connect that particular medium in system, then you double click on the device to open, the autorun.inf file automatically gets executed and its spread all over the system and generate multiple copies of the autorun.inf. This malware can take vigorous action that is connected to malicious website which is probed to install the key logger onto your system to steal all your personal information like user-names, account name, passwords and all other sensitive information. 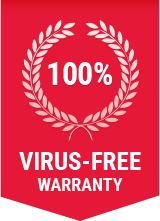 To prevent this virus to affect the system, please run the antivirus and check whether the medium is affected by malware or not even before double clicking on any storage medium. Please run the antivirus and check the whether the medium is affected by malware or not. Select Customize Configuration option and arrange installers, configuration, and file location. Once the Installation is Finished, restart your PC. Comodo Internet Security starts antivirus bases update. It takes sometime to get updated. After the update, Right click on the mediun and execute a Quick scan. If threats are found upon completion of scanning, you will be prompted with an alert screen. It will clean all malware including autorun.inf.